Windows 10 IoT Core build 16176 is now available for Insiders. 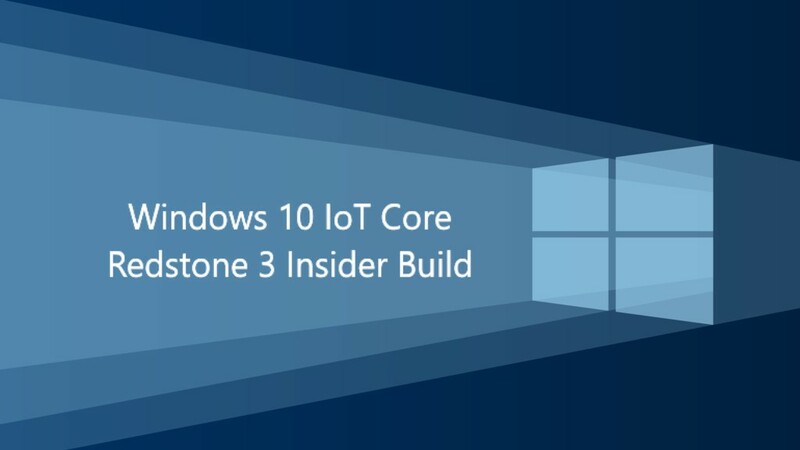 Previously, the company released Windows 10 IoT core build 15063. The latest IoT Insider build brings Cortana UI enhancements for devices using resolution 480×272 and more. However, there are some known issues with the build like Network connectivity failures and BluetoothLE devices may fail to fully connect. Check out the full changelog below. Update RPI UEFI to enable Boot Volume Monitor. Update Dragonboard BSP to version 2112.0.0.0. Bug fixes to the limpet tool. Fix an issue that prevented managing IoT Onboarding from WEBB. Recently, Microsoft also released Windows 10 Insider build 16176 for PC and Mobile build 10.0.15204.0 for Fast Ring members. To download Windows 10 IoT Core build 16176 check updates.